As a spiritual master, Thomas Merton (1915 - 1968) has proven to have real staying power. Each year new books are added to the ever-expanding library of his published works — prose and poetry, letters and journals, photographs and drawings, social criticism and cultural commentaries. Many of us return to his writings again and again, and new generations of seekers discover him every day. This extraordinary Trappist monk, writer, civil rights activist, and peacemaker processed all his reading and encounters with others through daily journals. He was a master of everyday spirituality, finding meaning and things to celebrate in everything he experienced. Merton was one of the first contemporary Christians to find a balance between contemplation and social action. He believed that they had to go hand-in-hand, making him a forerunner of the modern-day emphasis on spiritual politics. Merton was also a pioneer of what Wayne Teasdale has called "interspirituality." He explored and reveled in the bounties of Buddhism, Judaism, Sufism, Taoism, and Hinduism. 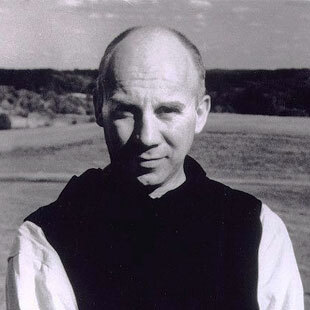 "Practicing Spirituality with Thomas Merton" consists of 40 emails, each containing a brief quotation from Merton's writings and a practice suggested by this teaching. We have been inspired and empowered by Merton's eclecticism and his passion to explore and expand his spiritual journey. He has awakened the mystic within us, stretched our souls with his spiritual observations, and dazzled us with his epiphanies. We encourage you to drink deep of the wells of his thought and practice: you will be totally refreshed!